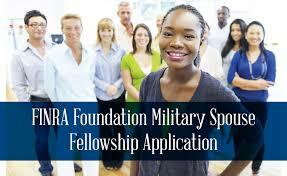 The Association for Financial Counseling and Planning Education® (AFCPE®) in partnership with The National Military Family Association (NMFA) and Financial Industry Regulatory Authority (FINRA) Investor Education Foundation is now accepting applications for the 2018 FINRA Foundation Military Spouse Fellowship Program: http://bit.ly/FINRAFoundationMSF. The program provides up to 50 military spouses with the education necessary to earn the AFC® (Accredited Financial Counselor®) certification and enter the financial counseling career field. Many employers – such as banks and credit unions, non-profit and government agencies, higher education and financial aid offices, military service organizations, and community housing agencies – need well trained, ethical and caring financial counselors to meet the increasing demand for financial counseling services. Military spouses help fill this need while building a rewarding career that is flexible to the demands of the military family lifestyle. The Fellowship covers the costs associated with completing the AFC certification program. Upon successful completion of the education, exam, experience and ethics requirements, the participant will be awarded the AFC certification from AFCPE. The application period runs from March 1, 2018 – April 20, 2018, but we encourage applicants to apply early as letters of recommendation must be submitted by the application deadline. Please share this opportunity with your military spouse networks.